Another month, another version of Firefox. I guess we better get used to this new faster release cycle that Mozilla has adopted for Firefox. 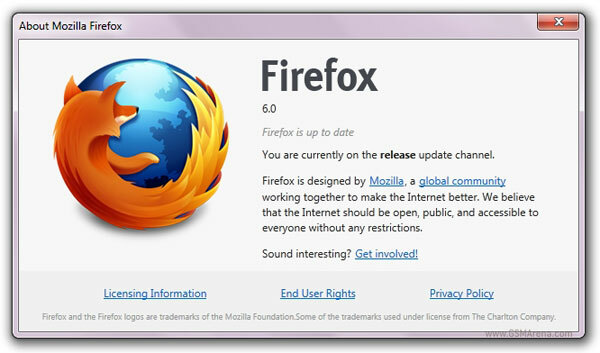 Version 6 of the second most popular desktop browser in the world has just been made available for download on Mozilla’s FTP servers ahead of its scheduled launch three days from now. Visible changes in the newer version are minimal, with the only one being reported for now as the domain name getting highlighted in the address bar. We wonder as to whether such minor changes really warrant a change in the version number but again that’s for Mozilla to decide. For now, you can download the Windows, Mac and Linux version here, here and here respectively in case you don’t want to wait for the official release.